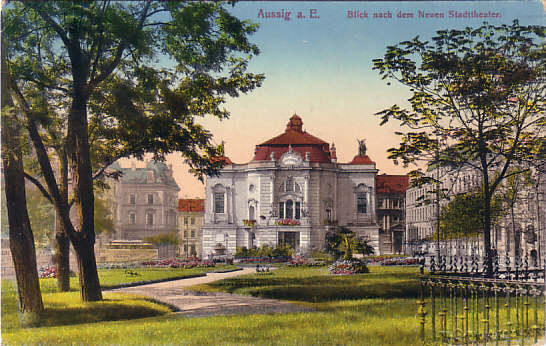 Built 1907-1908 as "Neues Stadttheater" by Alexander Graf for the city of Aussig. 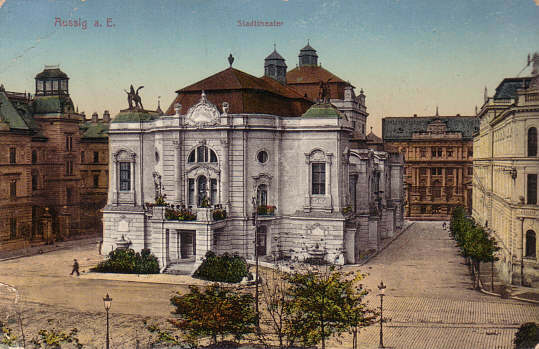 Opened 21 September 1909 with Franz Grillparzer's drama "Sappho". 1000 seats. 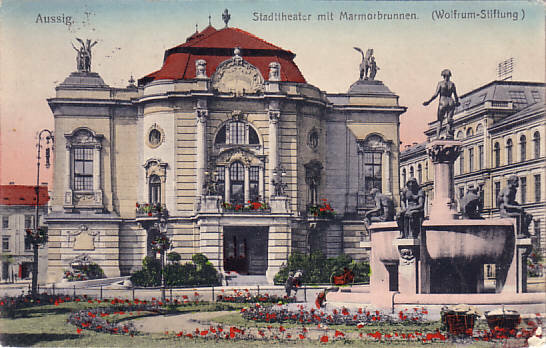 Front Text: "Aussig a. E. - Stadttheater"
Front Text: "Aussig a. E. - Blick nach dem Neuen Stadttheater"
Front Text: "Aussig - Stadttheater mit Marmorbrunnen (Wolfrum-Stiftung)"